Funk-rock groovers Gang of Thieves can't — and won't — slow down. Save for the time it took to record and release their 2014 full-length debut, Thunderfunk, the Burlington-based band has gigged extensively, logging up to nine months on the road each year since its 2009 formation. 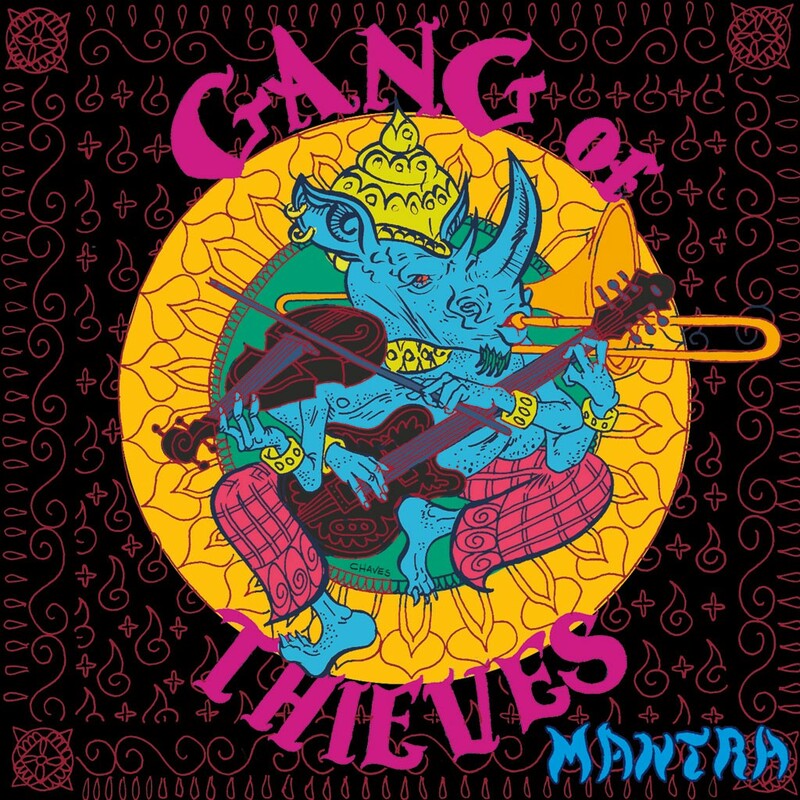 Now in the midst of a short Northeast tour, Gang of Thieves recently dropped a new four-song EP, Mantra. Where Thunderfunk drew from heavy rock influences, Mantra is more relaxed, favoring lighter moments of lively ska. The gang's high-octane blend of funk, punk, ska and rock has drawn fair comparisons to Red Hot Chili Peppers, Sublime and other 1990s-era acts. But the vibe on Mantra is more State Radio than Primus. While some fans might crave the rage and party focus of the band's previous effort, these four tracks are refreshingly toned down and approachable for those who like their funk a little less heady. For folks keen on dancing, fear not, because the tunes are still catchy and danceable as hell. The opener, "Love Bucket," is hook-driven, with plenty of strong bass and electric guitar vamping. Embracing the axiom of "peace and love," lead singer Michael Reit reminds us, "Differences are blind 'til someone shines a light / Cuz in the darkness we all seem to look alike." On "You're Not Alone," guest player Steve Jankowski shines with a grin-inducing extended trumpet section. His springy horn lines are consistently on point and snappy throughout the EP. Vocally playful, "XIII" is blissful and exultant. Reit sings, laughs and cajoles his way through it, making the tune sound more live than studio-stilted. Warped guitar segments add to the improvisational spirit. It's the EP's jammiest track, evoking an outdoor-summer-lounge mood. Mantra closes with the title track. With jangly horns and a punching chorus, it's the EP's rowdiest number — though it still doesn't approach Thunderfunk levels of intensity. Gang of Thieves stand apart from — and in many ways above — earnest but tired basement-funk bands who shake out groove after repetitive groove. Relentlessly pursuing their own aesthetic, the gang's energetic, party-anthem sound belies their professionalism and commitment. While Mantra lacks the aggression and edge of Thunderfunk, the EP is a good-natured, if brief, breather on the gang's unending quest to rock. Mantra by Gang of Thieves is available at thegangofthieves.com.